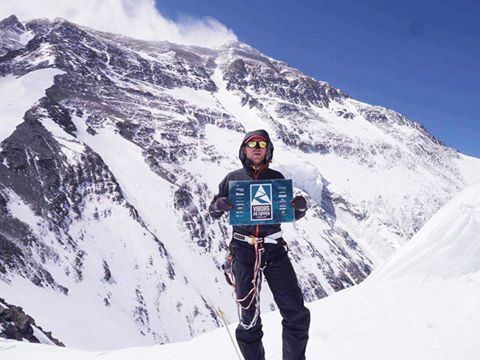 Mountaineer Rasmus Kragh will have to wait a little while longer in his bid to become the first Dane to successfully reach the summit of Everest on his own without the use of oxygen. His ascent, which was postponed from earlier today due to adverse weather conditions, will enable him to join an exclusive club of just ten mountaineers who have completed the expedition alone and without the use of oxygen. The latest update on Kragh’s social media page places him at Camp 3, where he is waiting for appropriate weather conditions to reach Camp 4 and then on to the summit. The weather is described as being too windy at present, leaving the Dane stranded at 7,900 metres. Kragh is attempting to scale Everest via the infamous North Face, which is commonly referred to as the more treacherous of the two routes. Conditions are colder and windier compared to those on the South Col Route. Conditions are perilous at present. Four climbers died over the weekend, and the recent collapse of the Hillary Step mountain outcrop has made climbing Everest even harder. Kragh started his professional mountaineering career in 2014 after he left university, and already his CV includes an impressive list of successful summits from all over the world. His bid to scale Everest is part of a project entitled ‘Viborg på toppen’ and follows his ascent of Khan Tengri, Kyrgyzstan in 2015.